In this guide, review details on the various forms and reports which are included in ACAManager. 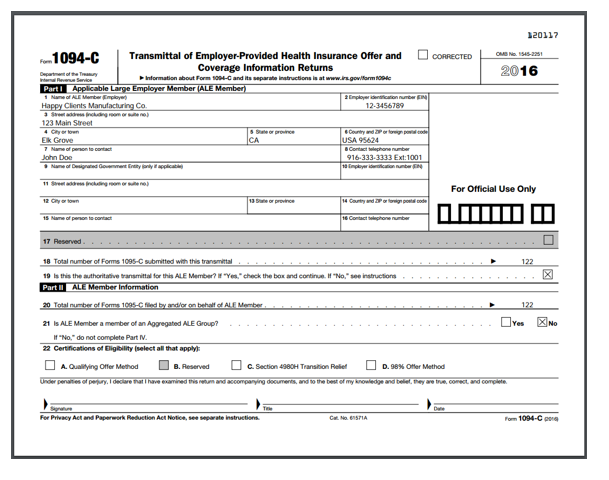 Select the Employer Report & e-File. Select the Tax Year and click Search. You are able to Edit and/or Download the Employer Report. Using the Edit function, you can make changes to the form without making any changes to your existing data. Important Note: Once the information has been edited, there is no way to restore the default information generated by the system. If you are unsure of the best way to make the changes you would like to see, please contact your Account Manager. 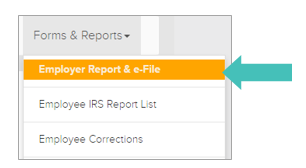 Use the Employee IRS Report List to select only select employees or choose "email all"
If there are errors to the IRS e-file, the employee errors will be visible through the Employee Corrections report.